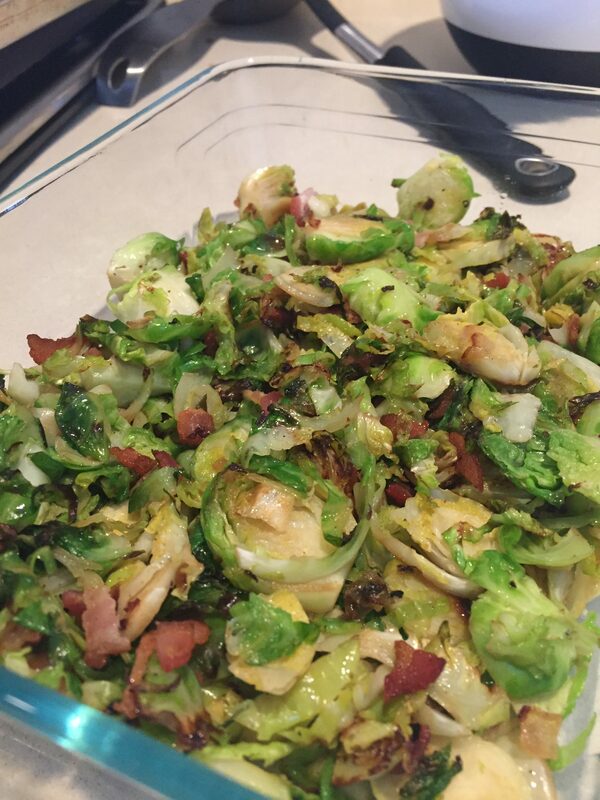 My kids will tolerate roasted Brussels sprouts, but they all agreed that these were better. The best comment was that they were less “brussels sprout-y” this way. While I love them roasted, these were a nice change and I gladly make them for my kids. Use kitchen scissors to snip bacon into small pieces. Cook in large pan over medium-high heat until brown and crispy. Remove from pan, leaving bacon drippings in the pan. 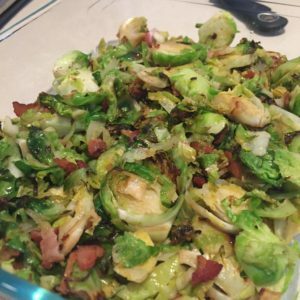 If necessary, add 1 tbs olive oil to the drippings in pan, then add Brussels sprouts and cook until softened and lightly browned, about 10 minutes. Add bacon back the pan, and season with salt and pepper to taste before serving.